On Saturday, Italian women’s rights movements will rally in Rome to protest against increasing political and administrative attacks launched against Italian women’s right to abortion by various far right politicians of the Northern League, the party of Italian Deputy Prime Minister Matteo Salvini. 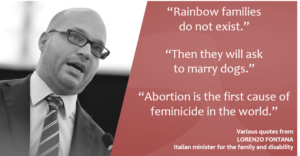 The motion put forward by the League and voted with a majority of 21 to 6 (including the party coordinator from the Center-left Partito Democratico) is entitled “an initiative to prevent abortion and promote motherhood” and claims that the Italian abortion law “has contributed to the use of abortion as a mode of contraception.” It encompasses a number of measures including the funding of anti-choice organizations and projects, including a monthly payment to women who would decide not to terminate their pregnancies. The Council however rejected the proposal to cater automatically for the burial of aborted fetuses even if the women opposed it. Needless to say that such a motion brings Verona back to other times. Stigmatization and financial measures aimed at convincing women to continue their pregnancy promote a vision of society that is at odds with decades of efforts to support women’s emancipation. 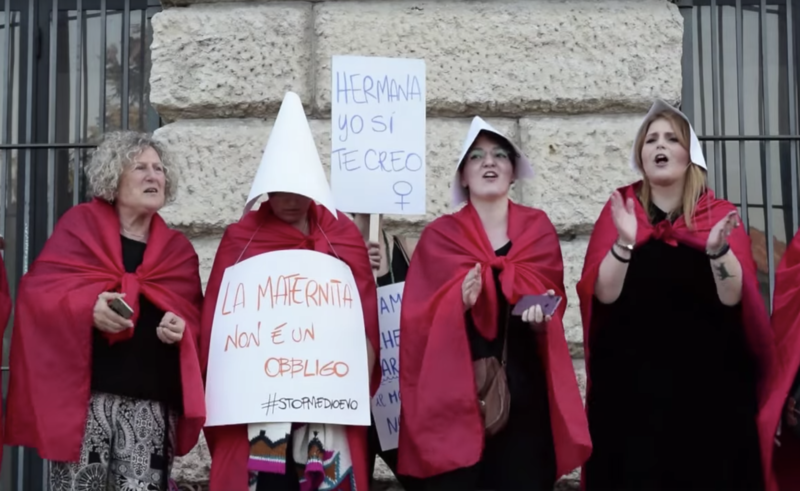 This is all the more severe in a country where, encouraged by the presence of both an omnipresent Catholic Church and extremely active anti-choice movements, above 70% of doctors refuse to perform abortions, thereby undermining de facto a right that Italian women have acquired 40 years ago. The issue is so widespread that the association Obiezione Respinta (Objection rejected) created an interactive map that helps women check the situation in their vicinity. At the moment of the vote in the Verona Council, activists of the Women’s rights group Non Una di Meno were present, wearing “handmaids” in reference to The Handmaid’s Tale, a well-known theocratic dystopian novel exploring the themes of the subjugation of women in a patriarchal society. 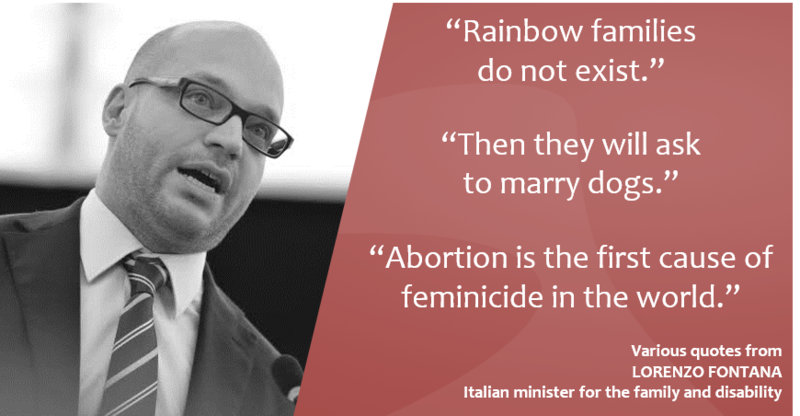 Earlier this year, we reported on the appointment of former Vice-Mayor of Verona and notorious anti-choice figure Lorenzo Fontana as Minister of Family who pledged to reduce the number of abortions in the country. Said Laura Sebastio, activist at Non Una di Meni to France Culture. 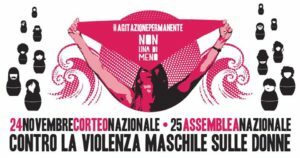 On Saturday, the pro-choice will mobilize in Rome while, on the same day, anti-choice movmeents will rally in Verona. Stay tuned for more info on that.